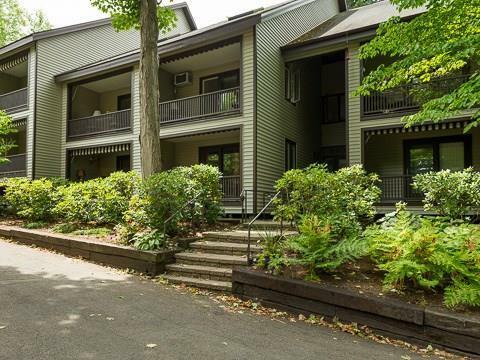 Welcome to the Beechover, a year-round condo association in a great, central Chautauqua location. This efficiency unit is on the first floor, and has been completely renovated. The unit features hardwood floors, all new wood doors and trim, and an updated kitchen and bath. The kitchen features granite countertops, stone backsplash and new cabinetry and hardware. Great things come in small packages and this unit is sure to please. Everything has already been done for you, and with beautiful furnishings this unit is ready for you to move in and call it home today. All units share a common laundry on the ground level, as well as a private storage room. New roof in 2016. Don't miss out on this beautifully upgraded, well-priced unit! Directions To Property: Take Right At Main Gate, Left On Miller, Right On Roberts. Veer Right Down Morris Ave. Beechover Is On The Left Just Past Tally Ho. Nearest Cross Street: Roberts Ave.